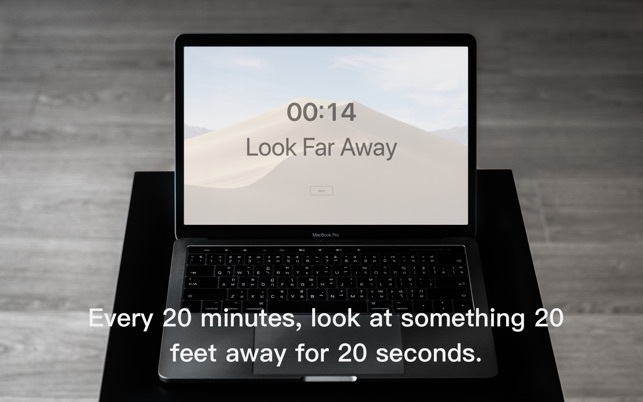 - As the doctor mentions, every 20 minutes spent using a screen, look away at something that is 20 feet away for a total of 20 seconds. 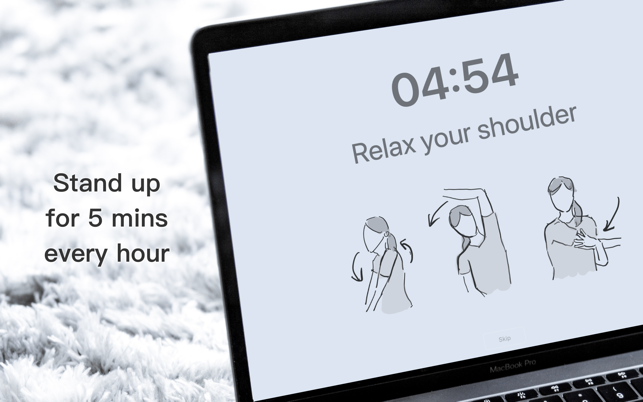 - Optionally take a 5 mins stand up break every hour. - Automatically lock screen, we make you a break you can't refuse. 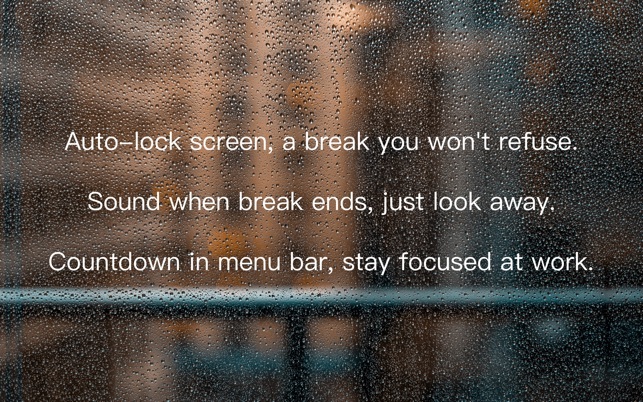 - Sound when break ends, look away from the screen with an easy mind. Take a Break, take care of yourself while working hard. - Bugfix: Popover should not show after skip break. 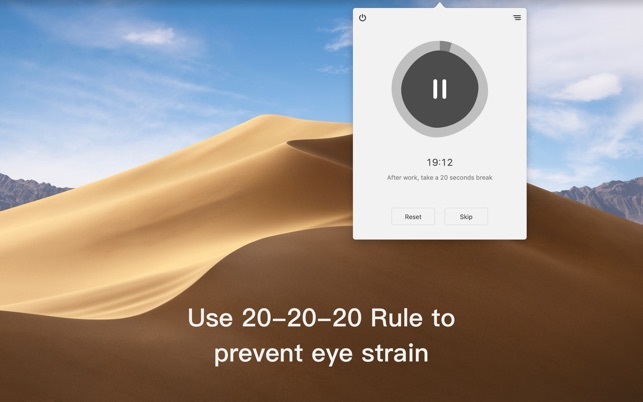 - Optimize: Mask appearance in Dark mode. the time period is not 20 mins but shorter, sometimes it's too soon to see another warning!